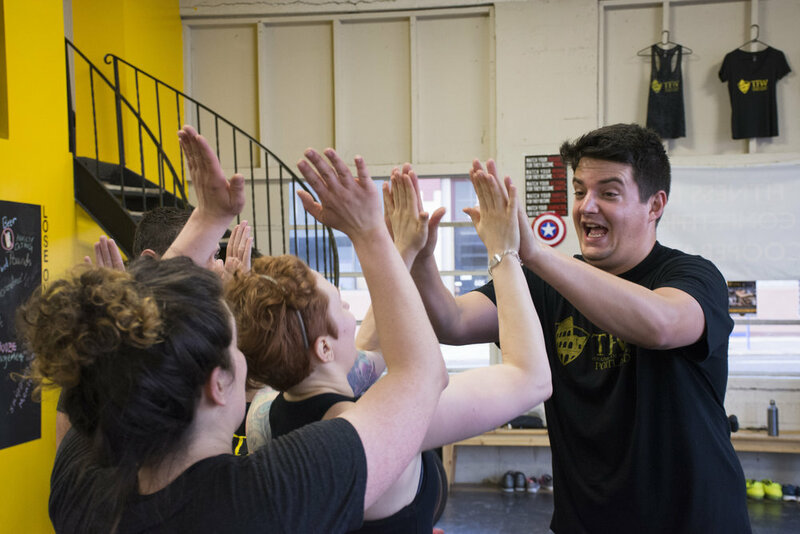 What is Training for Warriors Portland? The TFW system originally began as a fitness program created for some of the best combat athletes in the world more than 18 years ago. Today, the training methods of the TFW system can benefit anyone looking to lose fat, build muscle and feel good. TFW is taught by a global network of affiliated coaches and trainers that run the TFW system at licensed TFW locations. Now with over 275 affiliate locations in 30 countries, thousands of people per day are using the TFW system to bring his or her fitness to another level in order to fight this battle called life. Whatever your current fitness level, TFW Portland can help you. Even though TFW once increased the performance and self-esteem of the world’s top athletes, anyone can benefit from the TFW system. At TFW, we believe you are a warrior too. We define a warrior as anyone prepared to work hard, develop oneself and take on his or her particular challenges in life. The fun and exciting workouts of the TFW system are designed to help you develop the muscular strength and mental fortitude needed to take on those challenges and reach your fitness goals.